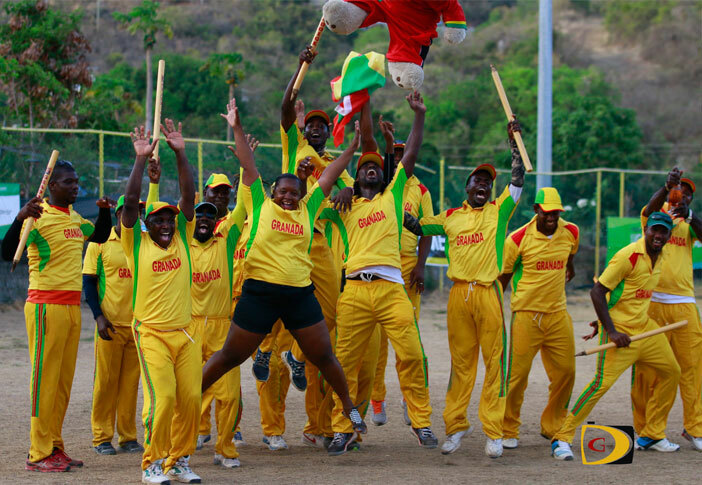 Led by “Man of Everything” Derol Redhead, Grenada systematically dominated Vincy to became the fourth different champion of the BVI Cricket Association LIME Twenty 20 League, after an emphatic 85 runs victory on Sunday afternoon in Greenland. Vincy began by digging a hole, losing their openers—Kenrick Leslie for four and Sylvester Mitchell for a Duck—chasing Grenada’s 245 target. Austin McDowall began repairing the damage and got a knock of 58 before he was taken out by Rodney Marryshow, the league’s leading wicket taker who finished 2-20. Orlando Olliverre had a contributing 42 before he was caught by wicket keeper Raymond Charles off the bowling of tournament MVP, Man of the Match and the league’s highest aggregate scorer, Redhead. Redhead had given Grenada a solid start with a 74-run opening partnership with Denron Daniel, who went LBW off Leslie’s bowling for 34. Marryshow—who had seven sixes and four fours, was also out LBW by Turby Xavier. Francis Kitason plucked 4-49 for Vincy. Grenada won the $2000 champions prize while Vincy walked off with $1000. The Vikings grabbed third place and $500 prize following a 35 run win over the Royal Knights. Anil Mohabir scored 88 for the Vikings, Dave Pyroo, 80 and Anthony Slowly 63 for the Royal Knights. Vaden Walker was 2-8 as the pick of the bowlers.